This Zentangle is bigger than I what I’ve been drawing and I am a little bit rusty. 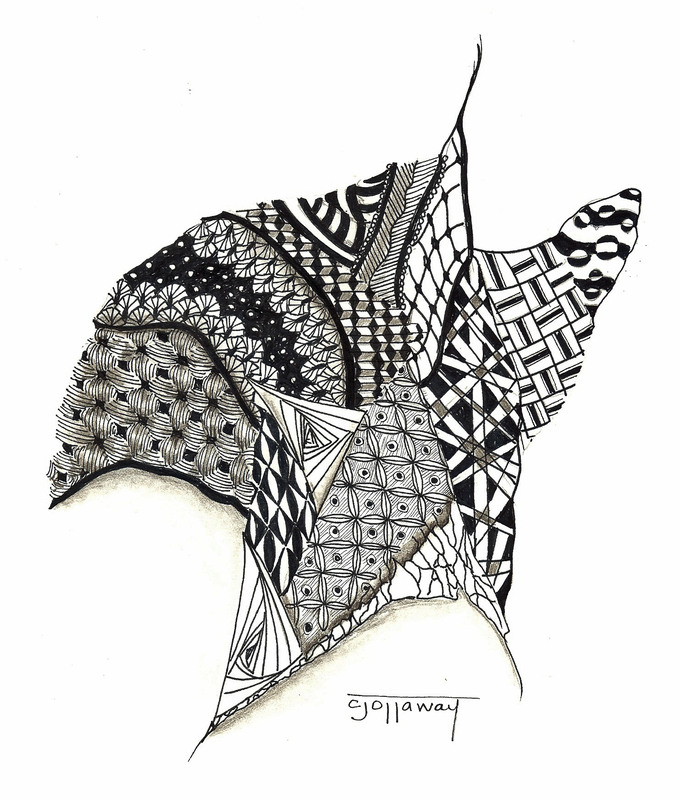 My intention was to draw Zentangles more often, but like everything else…didn’t happen. BUT with this Zentangle I think I may have too many conflicting patterns and it looks a little heavy on the left side. I really don’t have a clue what the Zen Guru’s have to say about this, because I’m self-taught and I really didn’t think that a Zentangle COULD actually be messed up. Who knows….It was therapeutic and I guess that what counts, right? Well, that’s about all I have for now….Have a fun and safe July 4th! It is really interesting, I also love the one you sent to me, it is intriguing. I had never heard of a zentangle before, you learn something new all the time 😉 I think I need to go and check out the definition. This one looks like a very “wicked” (as in super cool) hat…. Thank you Chrissy. lol, It does look like a hat. I’m so glad that you liked your Zentangle. You can go to zentangle.com to read all about them. They also have patterns in their newsletter section if you would like to try one. You probably have all the supplies you would need already at home.